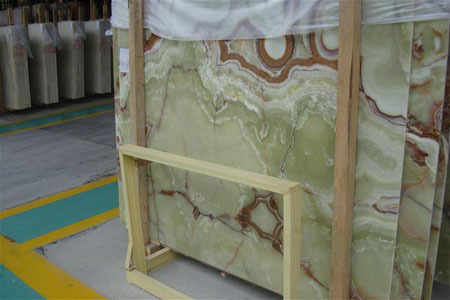 Green Onyx - a-marble co.
its a translucent stone. 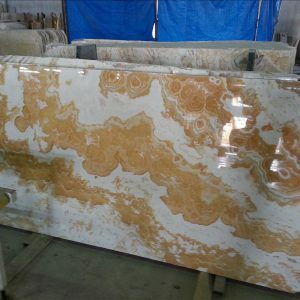 has beautyfull wavy veins in yellow/brown/white on light and deep green bottom color. 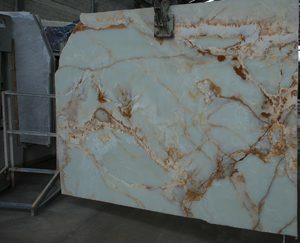 usefull for indoor and outdoor areas as decorative flooring, Wall cladding, countertops, bathtops, sinks. 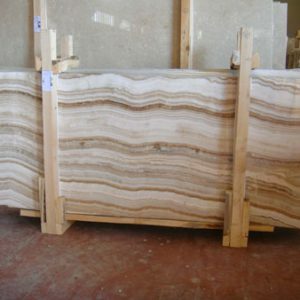 can used on high degree or very cold degree climate regions.